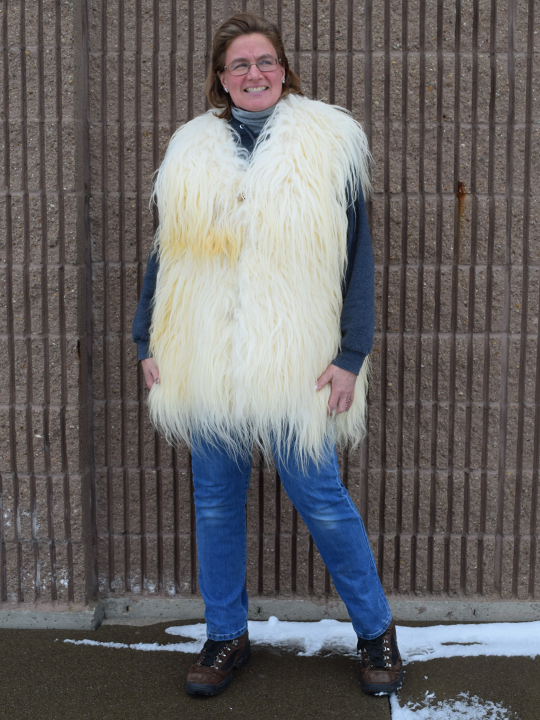 The vests are made of racka sheepskins. 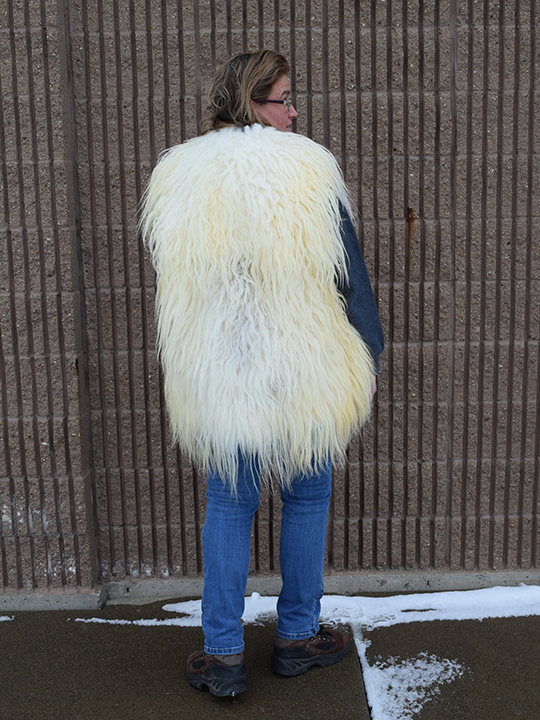 Racka (pronounced Rass Ka) sheepskins come from a special breed of Hungarian sheep. Racka sheep look like angora goat with unusual spiral-shaped horns. They look like angora goats but their wool is more sheep-like and softer. Their wool is long and appears in two general types: a cream wool with light brown faces and legs, and a black variation. Our Gxx codes denote individual vests. 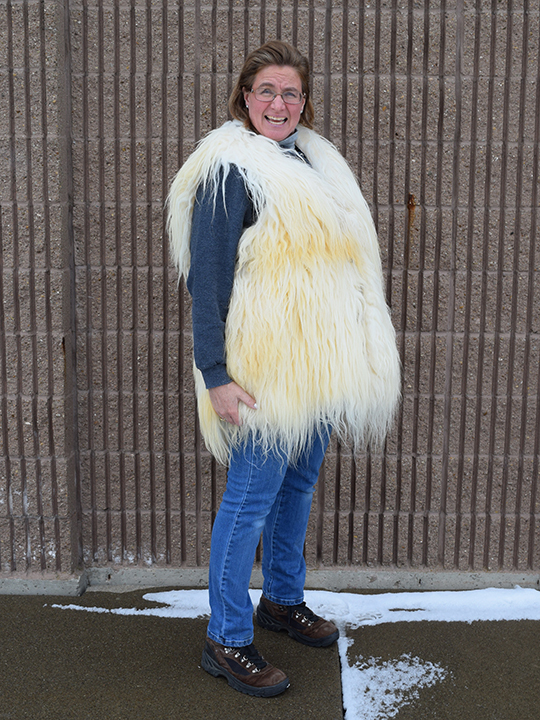 If you would like to order a specific racka sheepskin vest, please go to our Gallery to pick the exact one shown. Racka sheep are not an endangered species and are not subject to CITES controls.